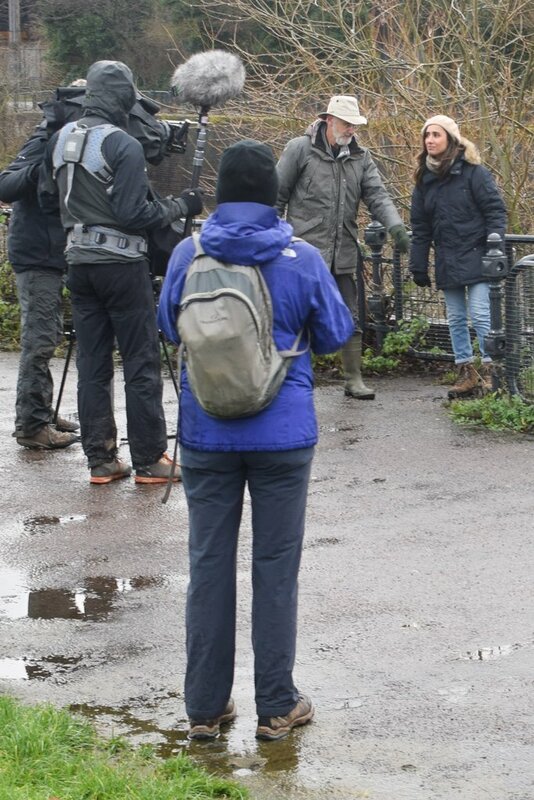 BSBI News & Views: BSBI New Year Plant Hunt on BBC Countryfile! Leics. 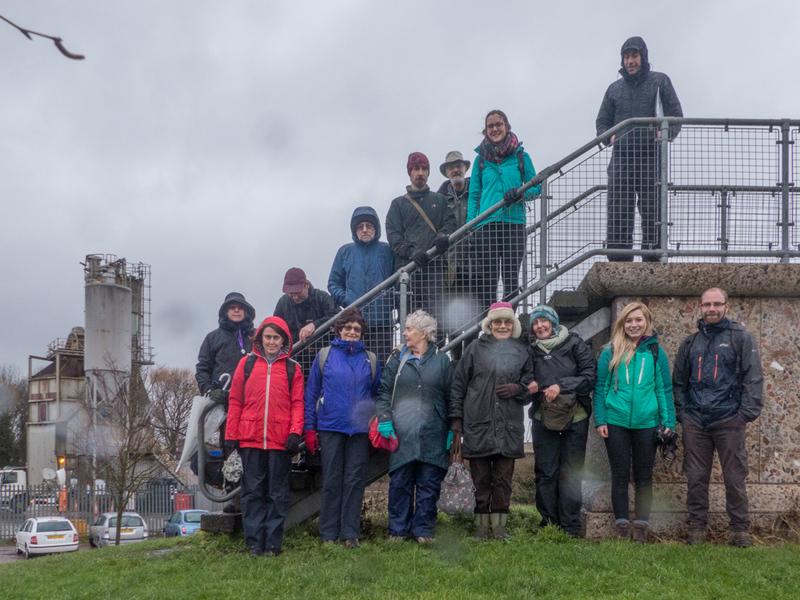 botanists ready to hunt plants in the rain! We're delighted to let you all know that BSBI's New Year Plant Hunt is going to be featured on BBC Countryfile this coming Sunday 21st January at 6.30pm! The Countryfile team travelled up to Leicestershire ten days ago to film two Plant Hunts, one in the countryside and one in the city. Where do you think we found most species in bloom? It was in the city - but the reason why that might be is one of the things that the New Year Plant Hunt aims to discover. We also want to know how our wildflowers across Britain and Ireland are responding to changes in long-term weather patterns. And of course the New Year Plant Hunt is also about getting outdoors in the middle of winter, whether alone, with family and friends or with a local botany group, to brush up on ID skills, see what's in bloom and generally just enjoy being out and about. 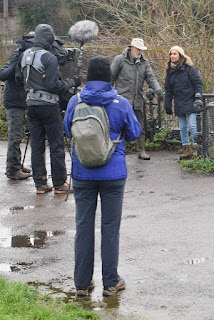 Members of the Leicestershire botany group and the New Year Plant Hunt Support Team really enjoyed showing presenter Anita Rani and the rest of the Countryfile team some of the wild flowers that were in bloom, despite some pretty awful weather in the preceding weeks. First we visited Sence Valley Forest Park, where Ranger Alan showed us all how this site has been transformed in just twenty years from a former opencast mining site to a wildlife reserve. Did I mention that it was raining all day? We were joined by botanist Kevin Widdowson and his daughter Elizabeth, the official recorder of the biggest Shepherd's-purse plant in the world so far! Elizabeth found these particularly big plants while helping her father during the 2016 New Year Plant Hunt. Then we headed into Leicester city centre where Assistant Nature Conservation Officer Richard Kelly and other local botanists managed to find a total of 43 species in bloom on two city-centre brownfield sites and surrounding streets. We were helped by Brian 'Eagle-eyes' Laney from over the border in Northants - that's not cheating, Brian is such a keen botanist that no one county can contain him - he often joins Leics. botanists on plant hunts and recording for Atlas 2020. Russell, Anita and more rain. 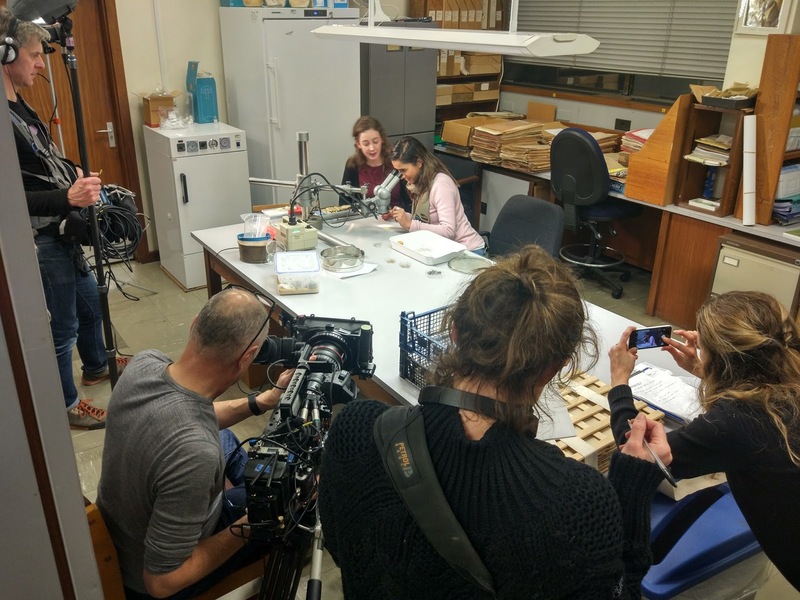 Ciara and Ellen, who have done such amazing work behind the scenes on the New Year Plant Hunt Support Team, were able to show Anita and the film crew how our online recording form worked and how important social media is to get people taking part in the Hunt. Leicester botanist Richard Mabbutt, also on the Support Team, was able to tell Anita how going out with his local botany group has helped him manage a diagnosis of stress and anxiety, and showed her the cornflowers blooming in Leicester at New Year - yes, honestly! Herbarium volunteer Russell also showed Anita the Austrian Chamomile in bloom and she picked a specimen to take up to the University of Leicester Herbarium for pressing. 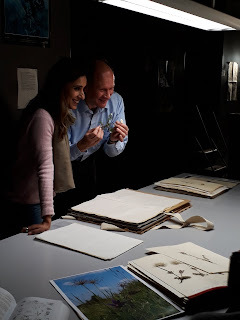 She was also due to meet Anna Farrell of Genebank55 fame and Prof Pat Heslop-Harrison at the Herbarium, to find out a bit about what herbaria are for (and why botanists love them so much!). We hope that Anita also found time to hear about some of the fascinating work Pat is doing on genetic diversity, agricultural ditches as refugia for threatened wild plants, Dandelions... you could film a whole programme just in Pat's lab. As the Countryfile team were preparing the programme, they needed to know about some of the other wildflowers recorded during the New Year Plant Hunt and to see photographs of them. So, many thanks to Ciara and Ellen again for pulling out some interesting records from the 9,539 records of 646 species submitted by more than 1000 botanists across Britain and Ireland. Thanks also to BSBI members Rosemary Lincoln (in Suffolk) and Dave Steere (in Kent) for sharing their photographs. Thanks also to BSBI Head of Science Dr Kevin Walker for carrying out his analysis in record time so that highlights can be included during the broadcast on Sunday. So please put the date in your diary, Sunday 6.30pm, BBC1 for the New Year Plant Hunt on Countryfile. You'll also be able to catch it afterwards on iPlayer where the announcement is already live. Just in case you thought I was making this all up!